ESL 373/374 Interactive English for Advanced Students develops upper level language skills. Practice using complex grammar structures. Develop critical thinking skills. 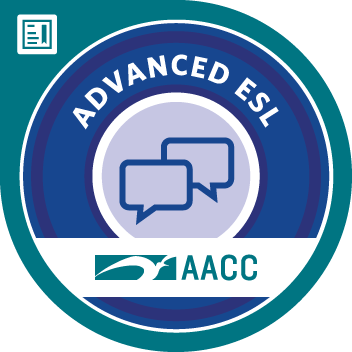 Gain fluency in oral and written communications through contemporary texts, videos, podcasts and movies. Prepare and deliver a presentation on a contempoary issue. Employ appropriate listening and speaking skills to enhance interpersonal and professional communication. Use advanced grammar forms and functions appropriately and accurately in oral contexts and written texts. Build vocabulary to interpret and evaluate information in multiple contexts. Practice correct stress, rhythm, and intonation to improve pronunciation.